WASHINGTON, DC, December 15, 2008 (ENS) - The U.S. EPA has selected 10 finalists to apply for $3.7 million in Targeted Watersheds Grants that focus on water quality trading or other market-based water quality projects to reduce pollutants that cause low oxygen levels in the northern Gulf of Mexico. Currently the worst of the world’s more than 400 dead zones, the 8,543 square mile low oxygen area appears each summer in the Gulf, where the Mississippi River dumps high-nutrient runoff from its vast drainage basin. A report issued Thursday by the National Research Council urged the federal government to take “decisive, immediate actions” to avert an ecosystem collapse in the Gulf that might result from the annual low oxygen levels. The projects chosen for this round of funding by the EPA are located in the three Mississippi River sub-basins with the highest nutrient loads contributing to the dead zone in the Gulf - the Ohio River, the Upper Mississippi River, and the Lower Mississippi River. For its project, the World Resources Institute will examine the feasibility of establishing water quality trading markets in all three river sub-basins and includes portions of more than 21 states. The project targets nitrogen and phosphorus to help reduce the dead zone in the Gulf. The credit demand will be extrapolated from the potential credit needs of two representative wastewater utilities - Sanitary District 1 of Northern Kentucky and the Metropolitan Water Reclamation District of Greater Chicago. The credit supply analysis will be based on agricultural sellers in the Lower Mississippi River Basin. 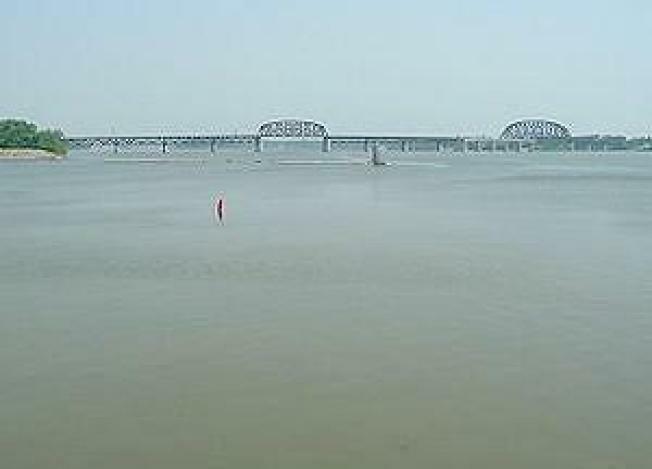 The Electric Power Research Institute will design a water quality trading program for the entire Ohio River Basin, which includes portions of over 14 states. It will develop a legal framework for interstate trading, targeting nitrogen and phosphorus to help reduce the hypoxic zone in the northern Gulf of Mexico. The Conservation Technology and Information Center will assess whether a water quality trading market for nitrogen, phosphorus, or sediment is environmentally and economically feasible in Indiana's Wabash River Watershed in the Ohio River Basin. The Miami Conservation District plans to continue a water quality trading program in the Great Miami River Watershed, Ohio, for two more years by continuing funding for agricultural Best Management Practices that will reduce nitrogen and phosphorus runoff from the Ohio River Basin. The Nature Conservancy will determine if market-based approaches, including water quality trading, for wetlands restoration are feasible in three Tennessee rivers located in the Lower Mississippi River Basin - the Lower Hatchie, the Loosahatchie, and the Wolf. The project will estimate the credit demand of potential buyers and estimate the potential credit supply from sellers for nitrogen, phosphorus, and sediments. Modeling will estimate the effects of contaminant removal on the Lower Mississippi River and the hypoxic zone in the Gulf of Mexico. Iowa State University has been selected to receive $600,000 in three grants to reduce upstream pollutants that contribute to the oxygen-depleted hypoxic zone in the Gulf. The selected projects will focus on Iowa's Raccoon River, Walnut Creek and Boone River watersheds, all located in the Upper Mississippi River Basin. For their first project, Iowa State researchers will assess the market feasibility assessment of a water quality trading program as well as a reverse auction for nitrogen, phosphorus, and sediment reductions in the Raccoon River Watershed The project will simulate the potential conditions of the nutrient reduction targets needed to achieve the goals stipulated in the Gulf of Mexico Hypoxia Action Plan. In the second project, Iowa State researchers will conduct a feasibility assessment for a reverse auction for nitrogen and phosphorus reductions in the Walnut Creek Watershed. The project will estimate willingness of farmers to accept a variety of conservation practices as influenced by different auction designs and will determine if the economic feasibility of a reverse auction differs based on the design of the auction. In the third funded project, Iowa State researchers will perform a market feasibility assessment of various reverse auction bidding designs to sell nitrogen, phosphorus, and sediment reductions achieved from the installation of agricultural best management practices in the Boone River Watershed The study will assess the incentives required for agriculture to adopt conservation practices to sell pollutant reductions to decrease the hypoxic zone in the Northern Gulf of Mexico. Ohio State University will undertake a market feasibility assessment for a water quality trading program in the Upper Scioto Watershed, Ohio. This project builds on the progress of an EPA Clean Water Act Section 319 grant, Sugar Creek Alpine Water Quality Trading Project. The feasibility assessment will focus on determining the potential costs and benefits for the city of Columbus and other wastewater treatment plants in the watershed for trading phosphorus, nitrogen, and sediment to help reduce the dead zone in the Gulf. The Wetland Initiative proposes to undertake a market feasibility assessment to develop a water quality trading program for nitrogen and phosphorus within Illinois' Big Bureau Creek Watershed in the Upper Mississippi River Basin. This project will focus on assessment of trading on two land management practices - grade control and wetland restoration. The University of Kentucky's water quality trading market feasibility assessment will target two Kentucky sub-basins - the Green River and Kentucky River Watershed, both located within the Ohio River Basin. The main pollutants of study are nitrogen, phosphorus, and sediment. West Virginia University aims to determine the economic and social viability of adapting the West Virginia Potomac River Basin Water Quality Trading Program to the Kanawha River Basin in the Ohio River drainage of West Virginia. Nitrogen and phosphorus will be the key pollutants of the study, which will develop a pollutant source loading inventory. The EPA initiated the Targeted Watersheds Grant Program in 2002 to encourage successful community-based approaches to protect and restore the nation's watersheds. To date, more than $55 million has been provided through the Targeted Watershed Grants Program.